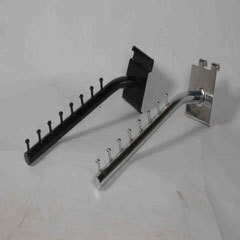 We are providing Industrial, manufacturers and exporters of Metal Arm Hunger. Metal Arm Hanger are high enduring hangers cater to the vast requirements of apparel, fashion, retail and other commercial and household. Metal Arm Hanger is superior quality metal hangers that can accommodate a wide variety of both men as well as women clothing. Metal Arm Hangerproducts are widely appreciated by the patrons for unreachability, fine finishing, lightweight, dimensional accuracy and high strength. Metal Arm Hanger are made by using quality material to ensure their durability and corrosion resistance.The Products we offer can be availed in different sizes and designs to suit varied requirements of apparel industry and households.